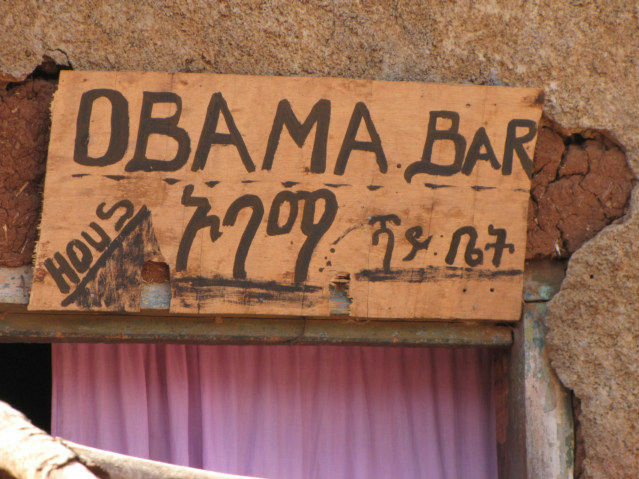 President Obama is popular in Ethiopia, there is a positive attitude about the man that is infectious, and it does feel good to have people like the President of the USA for a change. 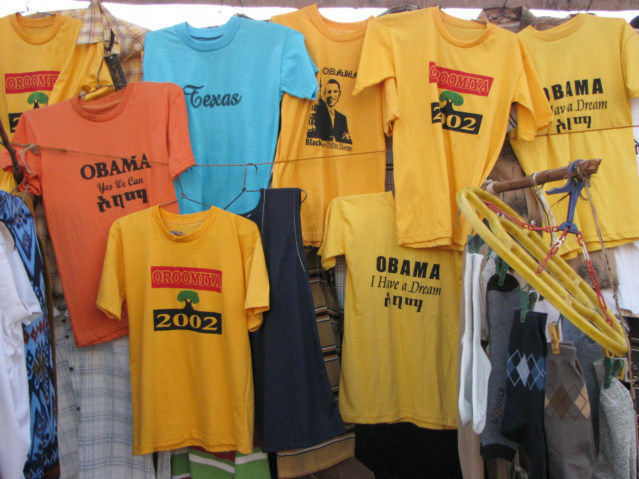 This was on a shirt in Hagare Marrian; however, they have been selling various types of shirts all along the path of my travels in Ethiopia. “I have a Dream,” from the Martin Luther King speech. What is a white person to say? I do find this hopeful and inspiring, I think Obama is giving confidence to the black people of the world. 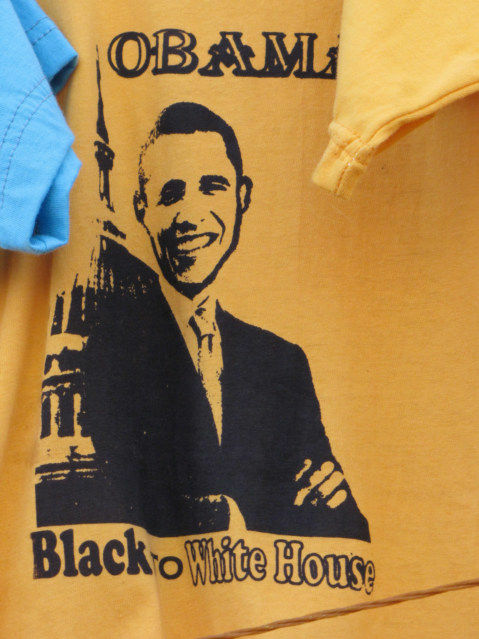 Generally, in the developed world, blacks have all the opportunities and even more than whites, however they needed a good Hero like Obama to help them believe in themselves. I have a dream, I wish the Black people of the USA would love Africa enough to come and visit it, instead of 99.99 percent being whites.